Kate Giuggio of Saboteur Bakery on the first day. The smells of fresh baked goods have begun emanating down East 11th Street. 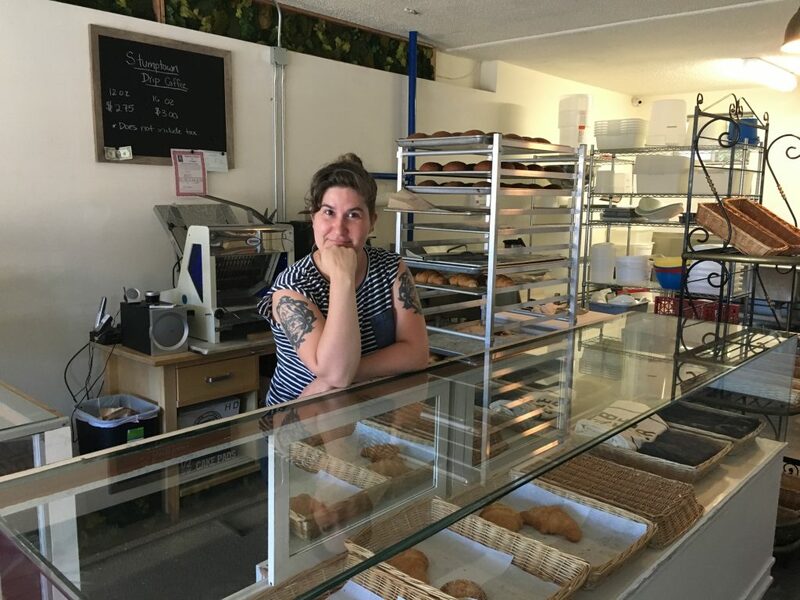 Saboteur Bakery, whose Fourth Street had already developed an abundant following, opened Thursday in downtown Manette. Fresh croissants, brioches and quiche were going fast on the first day. The opening is a milestone for Matt Tinder — a baker at California Michelin-starred restaurants who came north looking for new opportunity — and Kate Giuggio, his business partner, as they continue to build a local bakery empire. Giuggio said there’s more to come, too. An espresso machine and additional baking equipment will come online in the coming days. They were able to purchase baking equipment, including ovens and mixers, from Whidbey Island’s Tree-Top Baking, whose owners recently retired. They moved to Seattle last October, then came to Bremerton — and they liked what they saw. An initial plan for the Quonset Hut near Evergreen-Rotary Park fell through, but the Manette location offered a quicker chance to get up and running. Meanwhile, Tinder baked at Evergreen Kitchen on Fourth Street to keep their location up the street running. Outside the E. 11th bakery, a picnic table full of people was enjoying Stumptown Coffee and goods Thursday morning. I’m going to guess that the table will become a popular community spot from here on out, on each sunny day. 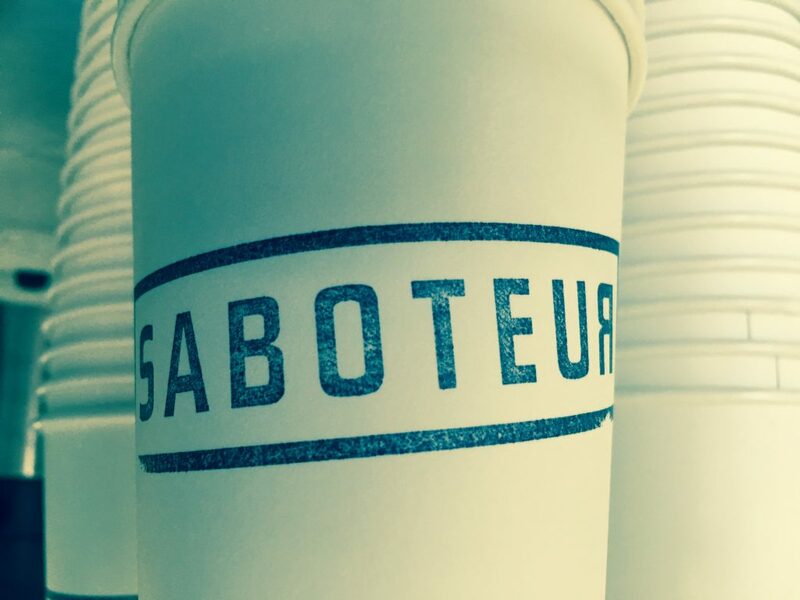 Saboteur is open Wednesday to Sunday until 1 p.m., and closed Mondays and Tuesdays. But beware: they do sell out frequently. There’s a lot of brainpower inside 603 Fourth Street. That’s where intense battles play out over many hours on large tables filled with strategy games. And on this week’s Bremerton Beat Blast, you’ll learn that Blue Sky Hobbies, the host of those games, is upping the ante. The store is adding 5,000 square feet of gaming space in its basement, to go with more retail — including a brand new comics section — upstairs. The grand re-opening is set for 11 a.m. Friday, and festivities will run through the weekend. Who is vying to be South Kitsap Commissioner, in a district that includes parts of Bremerton. Questions? Comments? I am all ears. Send them to josh.farley@kitsapsun.com. 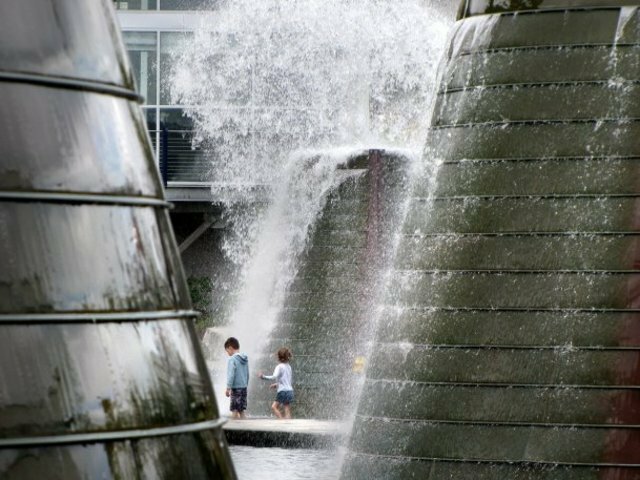 Bremerton’s fountains are getting fixed— and soon. The city’s prized fountains have been off all of spring and summer while city officials awaited approval from the state’s Department of Health for a massive overhaul of plumbing, electrical and filtration systems. Bremerton Mayor Patty Lent confirmed the project will soon go forward, and she expects them to be back on in a matter of weeks, as you’ll see in this week’s Bremerton Beat Blast. 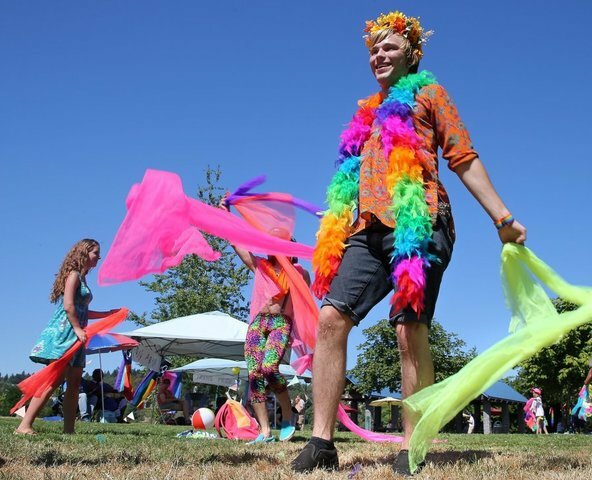 Find out what to look forward to at this year’s Kitsap Pride festival, taking place from 11 a.m. to 5 p.m. Saturday at Evergreen-Rotary Park. 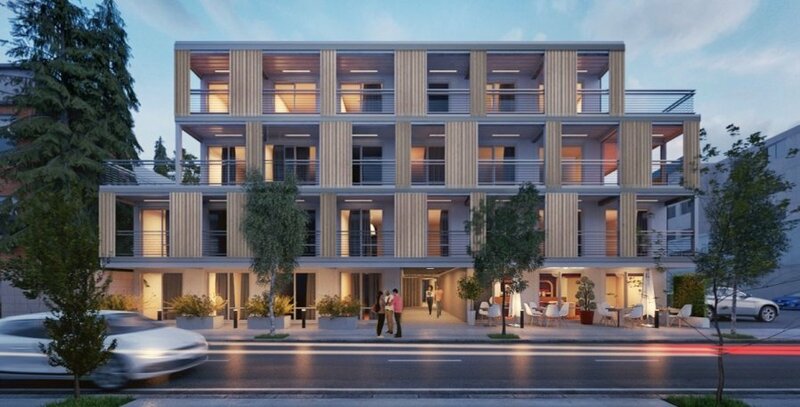 Check out the newest 160-unit Bremerton apartment project that’s slated to get going on the east side soon. Learn about possibilities for a food truck hub in Bremerton. And last, but not least, get the details on this year’s Bremerton BrewFest, to be held from 4-9 p.m. Friday and Noon to 6:30 p.m. Saturday. Questions? Comments? I love the feedback. Write me at josh.farley@kitsapsun.com. 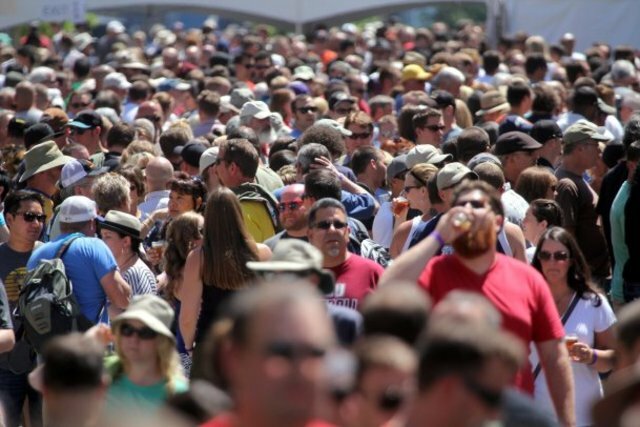 Bremerton has some big parties each year, but none is bigger than BrewFest. The sixth annual event is just around the corner on the city’s Louis Mentor Boardwalk. This year for the first time, you have not just one day to sample more than 120 locally brewed beers, but two. Enjoy some tasty brews on Friday night before the festival’s traditional main day on Saturday. And yes, about that beer: 34 breweries, including a strong West Sound contingent, plus a chance to sample Rainier’s first beer brewed in Washington in two decades. This will be the second year the BrewFest will be held on the boardwalk. In its first four years, Pacific Avenue was fenced off between Burwell and Sixth. But the Washington Beer Commission, which organizes it, had to pay a lot of money in just fencing alone. Bremerton Mayor Patty Lent asked to move it to the boardwalk a year ago. Eric Radovich, the beer commission’s executive director, said that adding a second day hopefully will alleviate some “congestion” experienced last year. He’s hopeful some new attendees will give it a try on Friday as well, perhaps some ferry commuters capping a long work week with a tasty beverage. Lent said she’s excited for this year’s expanded schedule. “The more people that get exposed to Bremerton through this event, the better,” she said. Mitch Watland (left) and Joe Campbell (right). I don’t need to tell you that we live in a community surrounded by water. Our geography sometimes makes us neighbors not only with those next door, but to others across an inlet perhaps, or a passage, or even a narrows. Anne Stamper and Joe Campbell are two such neighbors. Campbell lives on Marine Drive while Stamper’s on Madrona Point. They live 11 minutes by car from each other, but live just across the mouth of Oyster Bay from each other — a five minute kayak paddle, easy. Their proximity across Puget Sound had life-saving implications early Tuesday. As Campbell and friend Mitch Watland wound down their Fourth of July celebration with some Rainier beer on the beach by his home, they looked across Oyster Bay. From the distance, it appeared like a fireball was growing in an area near Stamper’s house on Madrona Point. “I thought ‘that’s an awfully big flame,’” Campbell said. Reality sank in. The pair decided to act fast. Watland hopped in a kayak. Campbell started calling neighbors he knew. He got one one on the phone; Watland began yelling for help as he got to the other side. 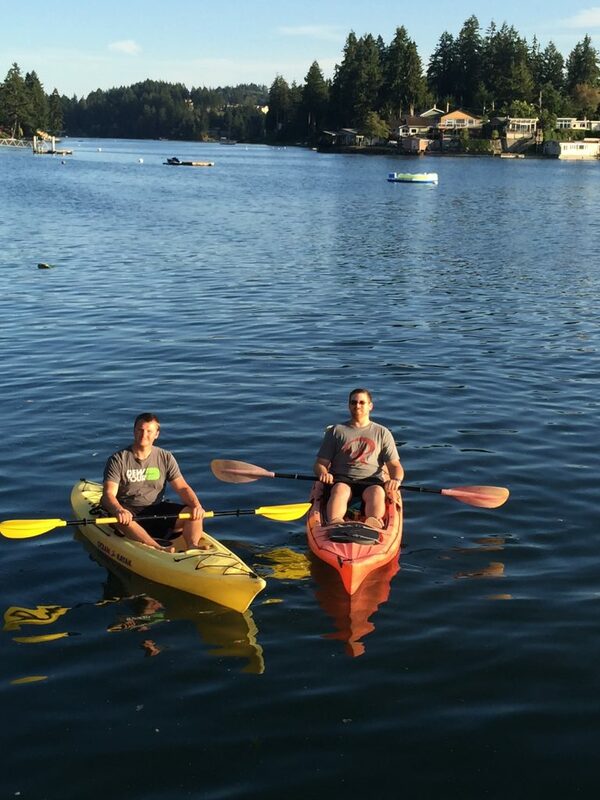 Campbell hopped in another kayak and headed to help, too. Watland got hold of a neighbor’s hose and started to spray the flames. By the time firefighters and police responded, the flames were out. “If we had hesitated another two or three minutes, the whole house would have been engulfed,” Campbell said. It appears as though the fire may have started due to fireworks. The Kitsap County Fire Marshal’s Office is investigating. Stamper, who was sleeping, was grateful. She recalled Campbell as a teenager, coming over to help with landscaping at their home. Her husband, Larry, who has passed away, even once told Campbell that he needed to “take care” of his wife when he was gone. Stamper said Campbell’s held up to that promise. “I think what they did was heroic,” she said. Campbell said he was just being a good neighbor, but he also wanted to keep his word to Stamper’s husband. -And last, but not least, the possibility of a new grocery store in East Bremerton appears to be coming to fruition. Questions? Comments? Email me at josh.farley@kitsapsun.com.